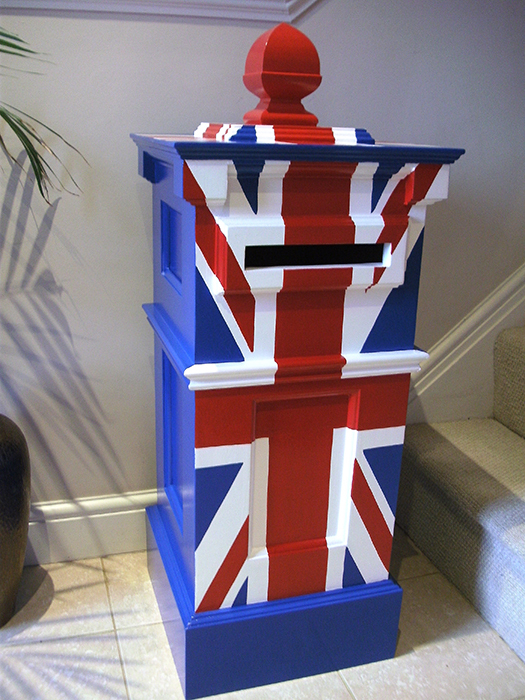 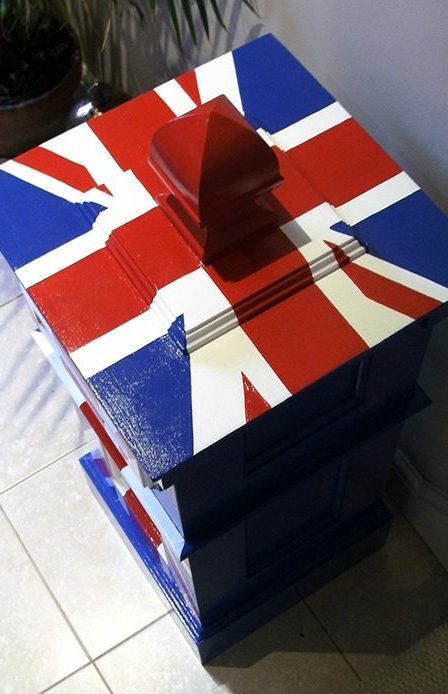 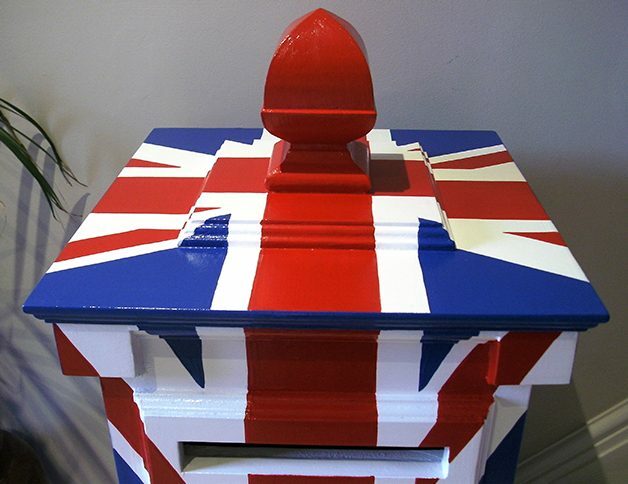 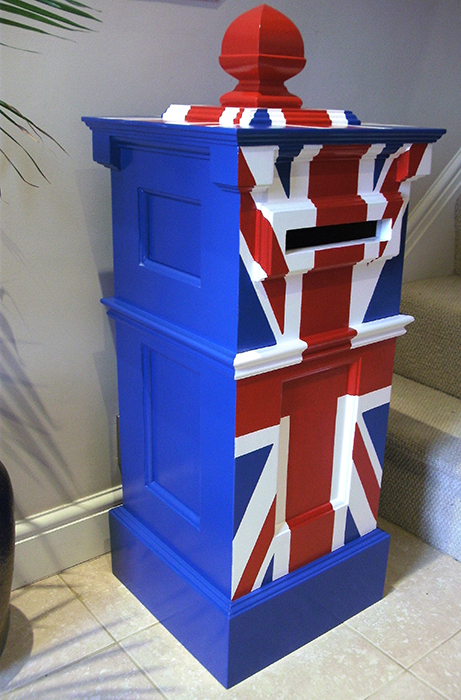 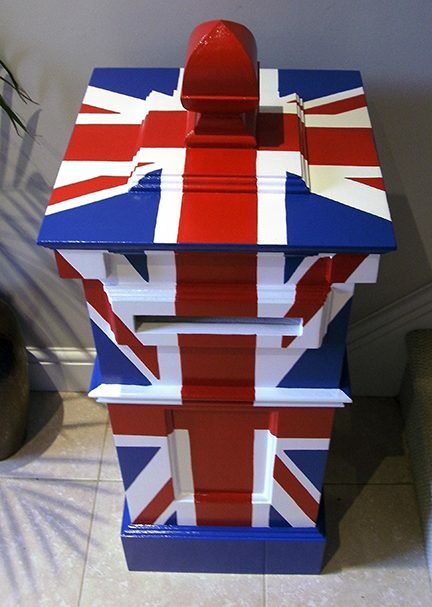 This postbox was crafted by a skilled carpenter who asked me to paint it with a union jack design. 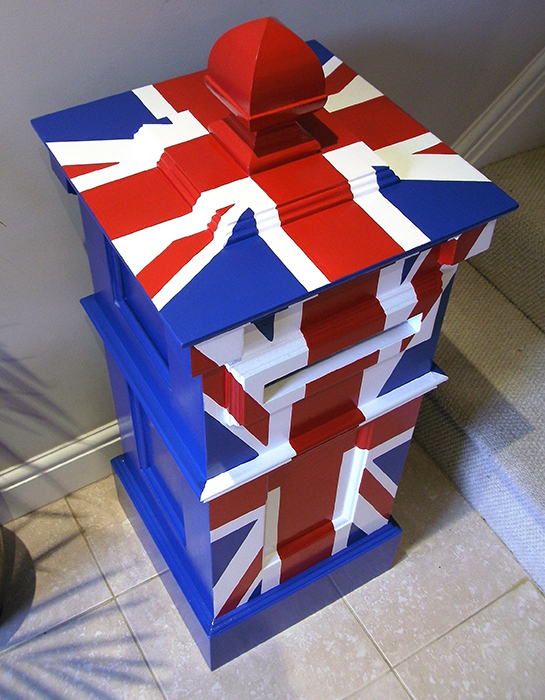 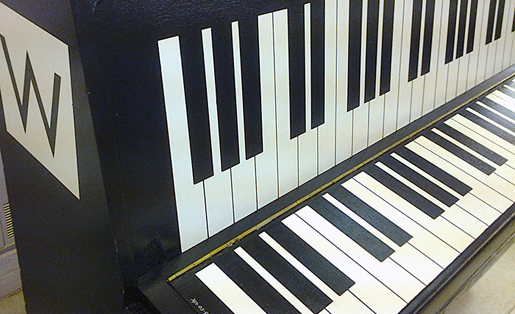 It was quite a fiddly project. 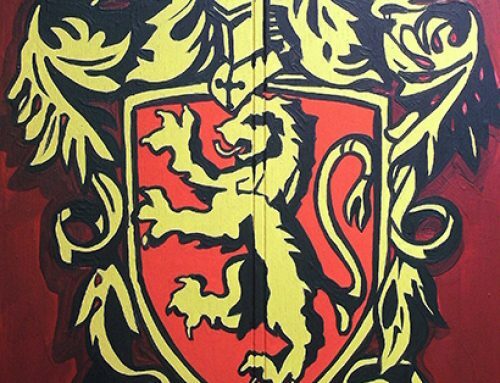 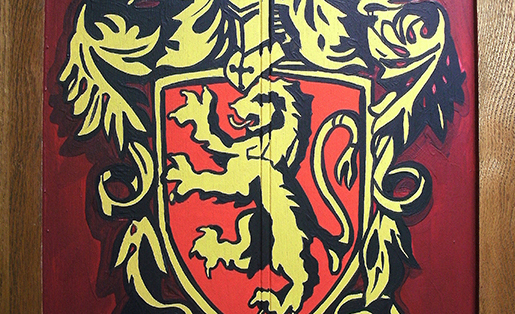 No masking tape was used due to the complex nature of the mouldings. 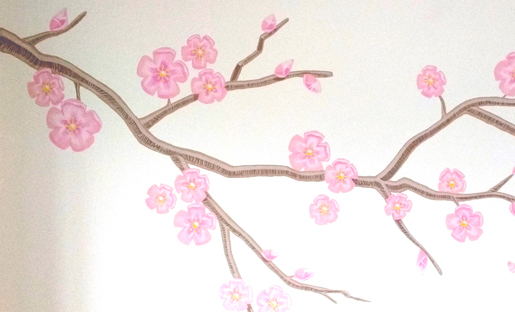 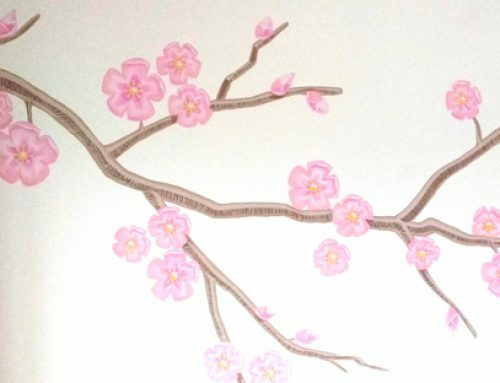 I elected to use a ” brush rule” technique which was an old school skill that I learnt many years ago at art college. 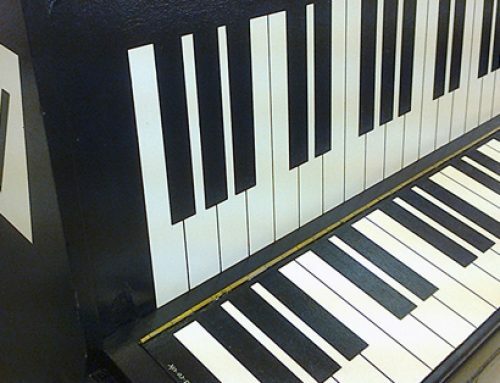 This technique is still practiced by some sign writers and coach painters using a long thin coach brush to paint the lines.